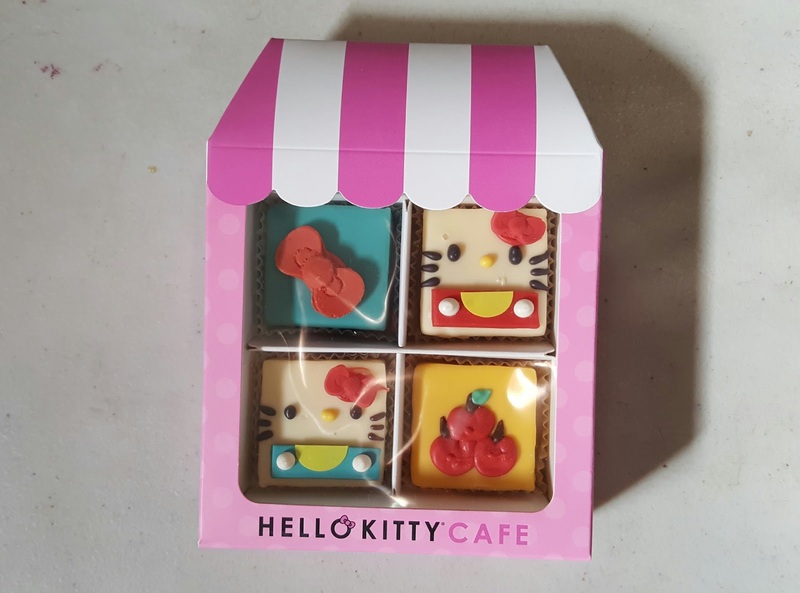 Front of the HK Cafe Truck. 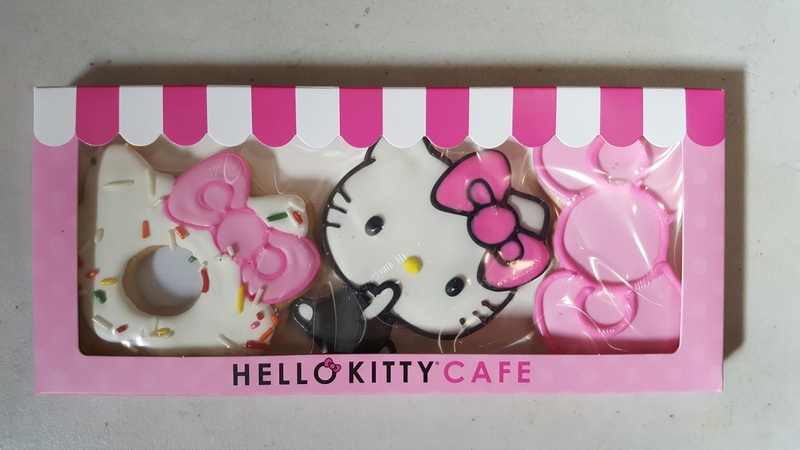 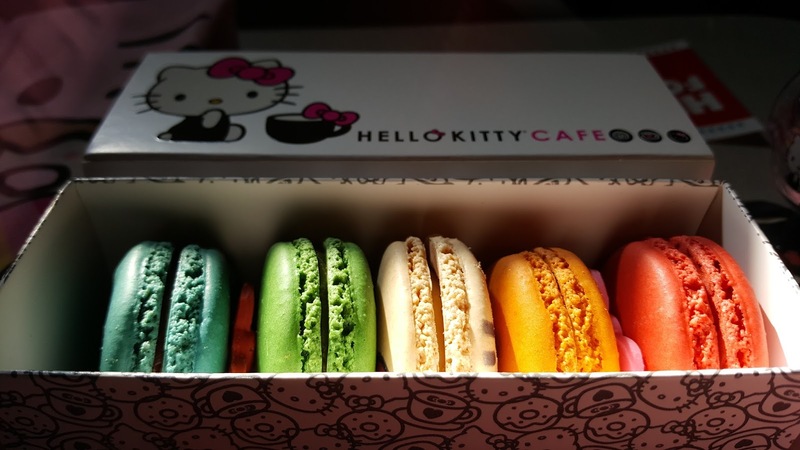 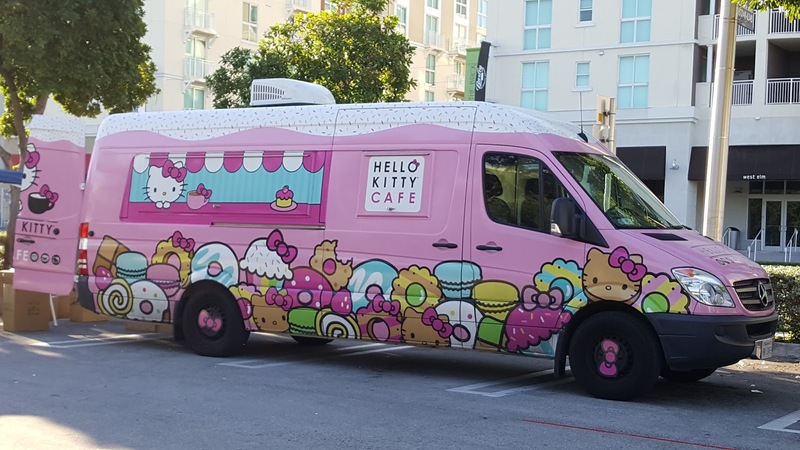 The Hello Kitty Cafe Truck made its first ever Miami appearance, so naturally, I got almost everything they had to offer. 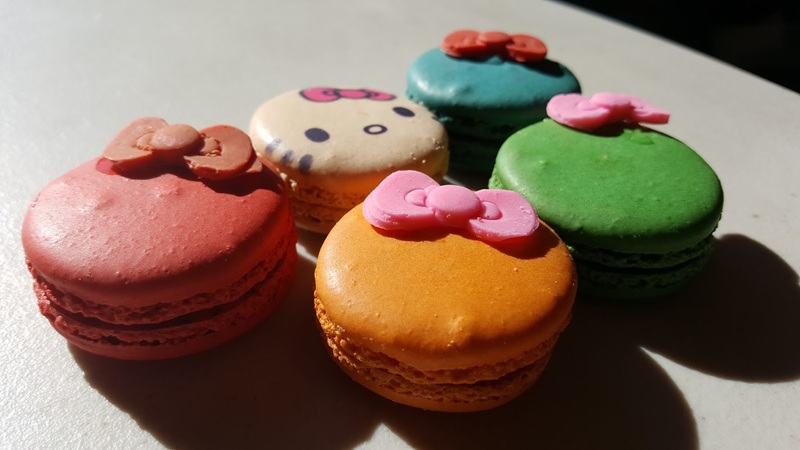 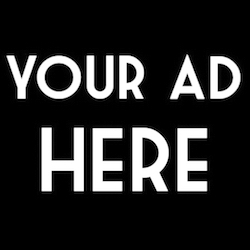 Cookies, macarons, bottled water, and more were up for grabs. 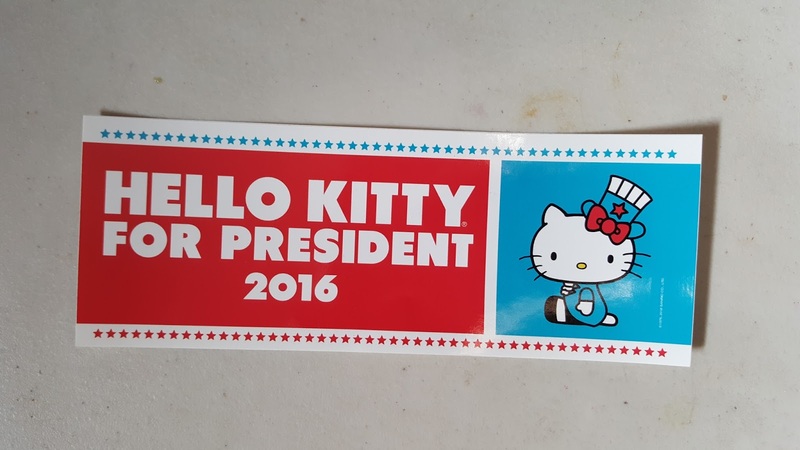 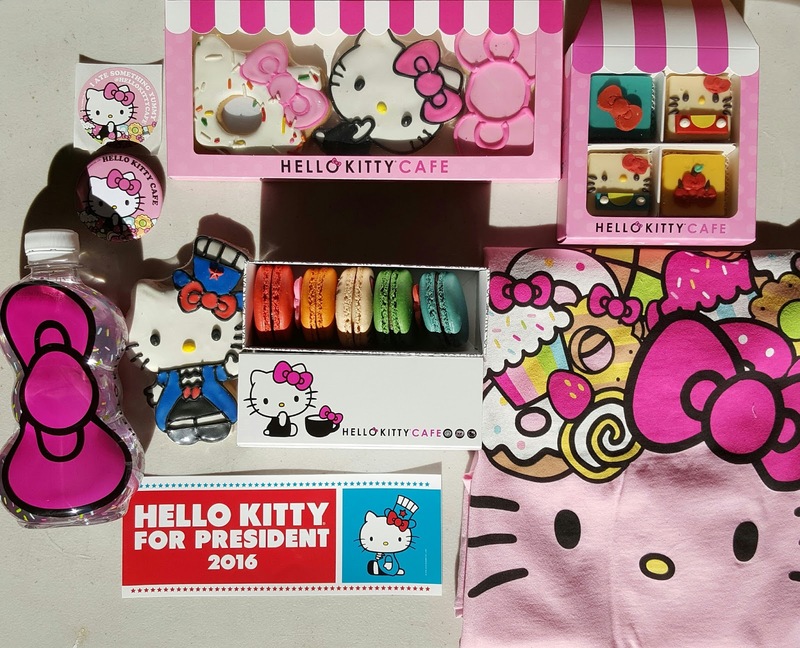 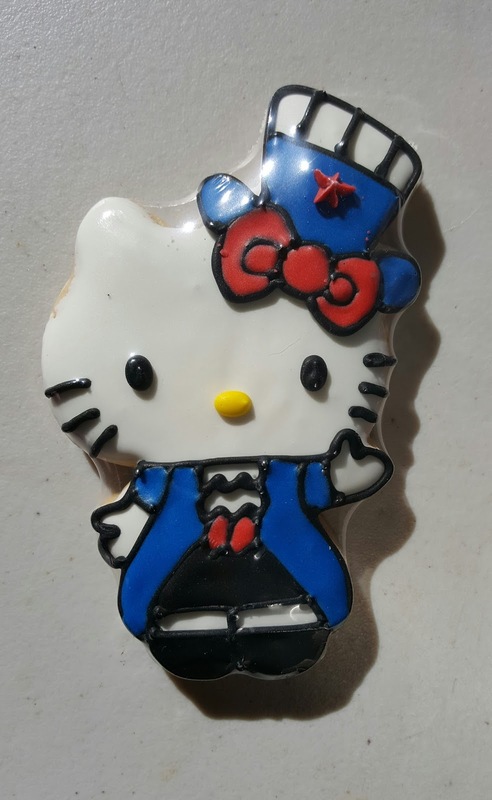 One of the perks of being early, was a limited edition #HelloKittyForPresident cookie and bumper sticker! 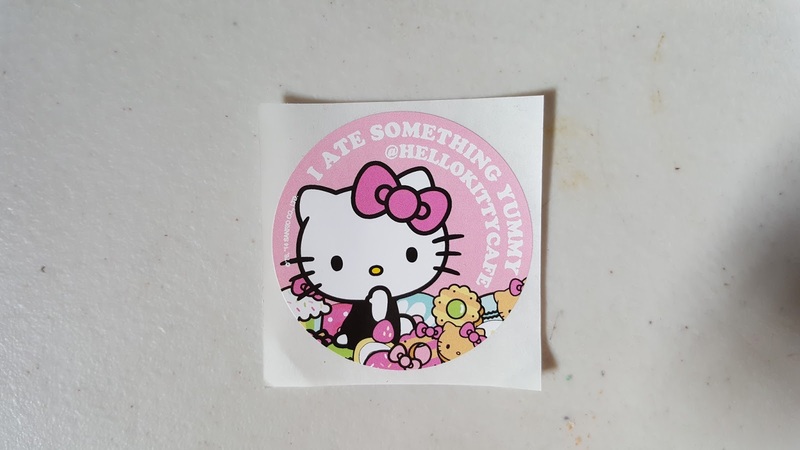 More pictures of what I got after the jump!